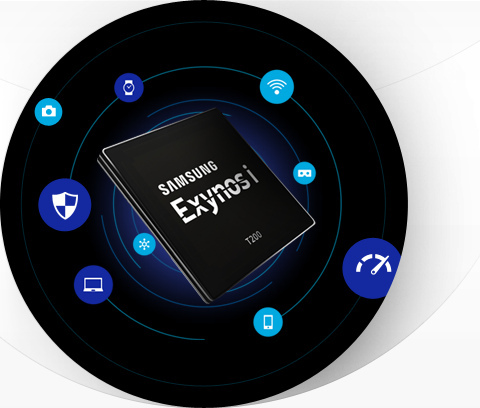 Samsung says it has started mass production of its first Exynos-branded Internet of Things (IoT) chip, the Exynos i T200. The Exynos i T200 is built on a 28-nanometer (nm) High-K Metal Gate (HKMG) process and utilizes both a Cortex-R4 processor and an additional Cortex-M0+ processor. The chip supports 802.11b/g/n single-band (2.4GHz). In terms of security, the Exynos i T200 utilizes a Security Sub-System (SSS), as well as a Physical Unclonable Function (PUF) IP.